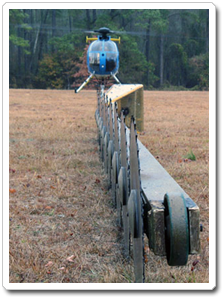 Aerial Solutions is a North Carolina company that pioneered the use of helicopter based tree trimming. Since 1985, utility companies across the United States have contracted with Aerial Solutions to reduce and eliminate lateral vegetation encroachment along their rights-of-ways resulting in improved safety and service reliability. Our unique Air Saw provides a fast, cost-effective alternative to conventional side-trimming methods, with the ability to provide complete sky-to-ground clearance, where other methods may be limited by terrain, regulations, or environmental restrictions.